Whether you’re playing 18 holes at the local golf course or hiking up Mount Kilimanjaro, you need a reliable quick-dry shirt to maintain your body temperature. 87% Polyester / 13% Spandex. Smooth, Ultra-Soft Jersey Fabric Blend. Flattering V-Neckline With 2-Layer Front. Banded Cuffs With Button Detail. Upon first glance, you’ll instantly notice the unique design of the Ex-Officio Wanderlux Crossfront. Made of stretch fabric with a V-Neck and layered folds of material, you might find yourself puzzled at the style of the shirt. Have no fear though, as soon as you put on the shirt, you’ll instantly feel its’ softness and comfort. It’s lightweight fabric will quickly absorb and eliminate any sweat, keeping you comfortable as you travel. 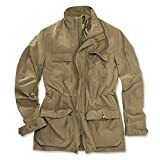 REI is a well-known fashion brand of travel clothing, and their Northway Drape Neck travel shirt is one of the best quick-drying shirts money can buy. Not only is the shirt quick-drying and lightweight, but its’ also odor and wrinkle resistant. The special blend of polyester wicks away moisture better than most other shirts and the quick-dry action is built-in the fabric so it won’t wash away like other shirts. Silver Ridge™ Ripstop 100% Nylon. Columbia is a well-known outdoor apparel retailer, and their Silver Ridge line of durable, quick-dry shorts is considered to be one of the best in the business. The Silver Ridge line has convertible, cargo, and regular quick-dry shorts, depending on your own personal needs. The fabric features built in UPF 30 and Omni-Wick, which is essentially just Columbia’s way of saying the shorts are quick-drying. Despite the lightweight fabric, the shorts are strong, and they dry faster than arguably any other shorts money can buy. These shorts are perfect for hiking, kayaking, backpacking, or just for your everyday travels, and everybody should have at least one pair. The Most Popular Model Of Molecule Cargo Pants. Internal Waist Cords To Customise Fit. If you’re going to be weathering the elements, then the Dry on the Fly Nylon Cargo Pants by Duluth Trading are perfect for almost any situation. 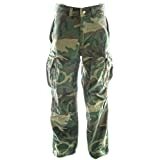 These lightweight, comfortable, and versatile pants are great for hiking, hunting, camping, fishing, or doing just about anything else outdoors. Built in UPF 40 protection keeps the sun’s harmful rays at bay, while the proprietary blend of nylon and cotton will provide you with superior quick-drying action. Made From Lightest Weight Of Merino With A Touch of LYCRA®. Features A Pouch With Fly Opening And A Striped Elastic Waistband. The Icebreaker Anatomic relaxed boxers may not be the most affordable brand of underwear on the market, but they are arguably some of the fastest-trying travel underwear money can buy. Made of odor-resistant merino wool, these boxers keep you cool, dry, and comfortable no matter what you’re doing outside. We should note that the boxers are delicate, and not quite as durable as other brands, but if all you want are quick-drying boxers, these are perfect. Extremely Quick-Drying So You Can Wash On-The-Go And Pack Fewer Pairs. Treated With Aegis Microbe Shield To Prevent And Control Odor-Causing Bacteria. If you’re not in the mood to shell out the cash for the Icebreaker Anatomica boxers, then the TravelSmith Qwik-Drying boxer briefs are probably a safe bet for you. They retail for around $15, and these boxers are some of the most durable quick-drying boxers we could find. Made of premium polyester and spandex, the Qwik-Dry boxers from TravelSmith will keep you comfortable, dry, and odor-free during all of your outdoor activities. Plenty Of Room To Swing The Gun. This lightweight and quick drying jacket has become a favorite among those who frequently spend time outdoors. The mostly nylon fabric has a comfortable stretch to it and the inner mesh lining is breathable enough to wick away moisture fast enough. There are also plenty of pockets to store small items and valuables making the Beretta Quick-Dry Jacket a useful jacket that everybody can benefit from having. If a jacket is going to be too much, then the TravelSmith Men’s Voyager Vest may be the perfect outer layer to keep you dry. Made of lightweight, abrasion-resistant nylon, the Voyager Vest features UPF40+ sun protection, a mesh lining for breathability, and an adjustable cord bottom edge. A hidden zippered front also has several pockets for added security if you want to store some of your valuables as well. As you travel more and explore new places, you’ll come to love quick-drying clothing, especially during summer months or long hikes. We covered the basics of quick dry clothing, and once you expand your wardrobe, you can find additional quick dry hats, gloves, socks, and even more to keep you dry during your time spent outdoors.